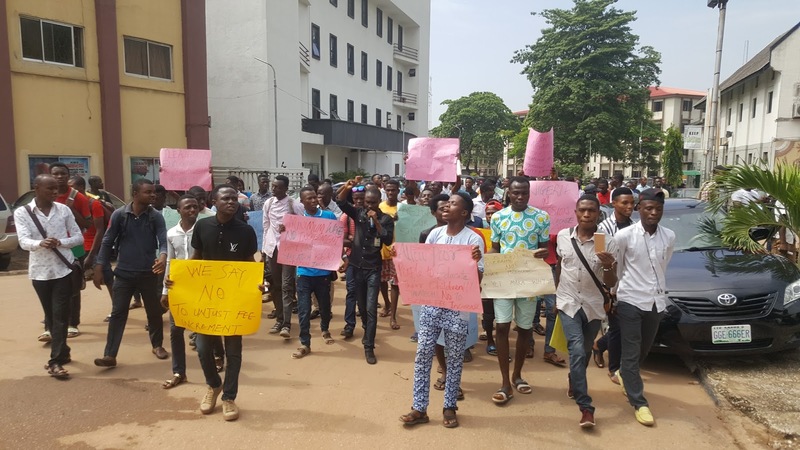 There was a peaceful protest by student of Yaba College of Technology(YABATECH) on June 1st, 2017, on some pressing issues which have been left unresolved by the college management since 2016. The students were seen carrying placards of some of these pressing issues. 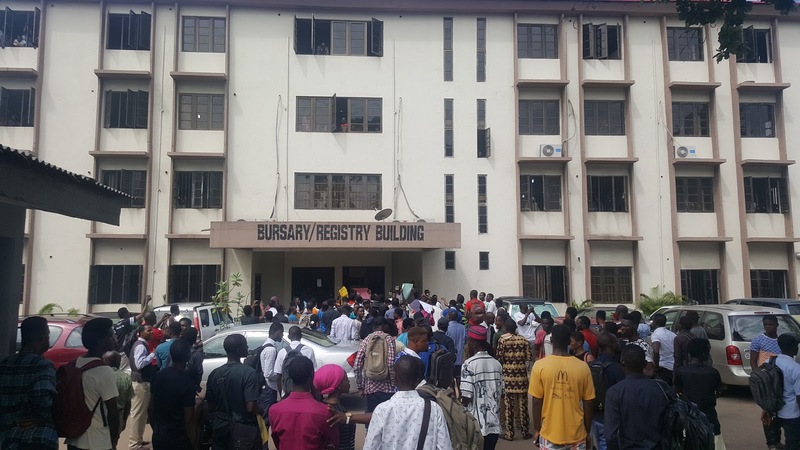 Some of these issues are hiked school fees of part time and full time students, the reinstatement of the student Union Government which is the strength, the reinstatement of innocent Departmental Presidents who where rusticated after the angry protest of Dezain Charity's Death and mouth piece of the students and punctual payment of lecturers and staff to make classes run smoothly. Addressing the issue, Deputy Rector Academics, Dr. O.T Raheem promise to double effort into the situation and providing solution as soon as possible. However, the students have unanimously promised to take more drastic actions if nothing is done promptly about the reinstatement of the SUG and the increment among others. Meanwhile, the Student Union Goverment (SUG) of Yabatech have been banned for about three years now after heavy violence took over its general election leading to death of some students and making the school unstable. 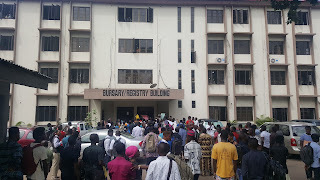 majority of the students talking to TVC news chanted against the inhuman and inconsiderate policies and decisions the management takes over the students.